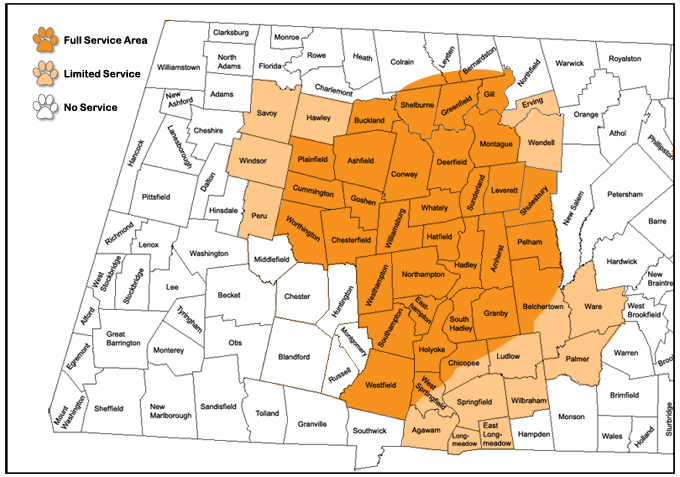 Pampered Pet Sitting's coverage area extends through most of the Pioneer Valley as shown on the map below. Please contact us at 413.529.0011 or via email at info@pamperedpetsitting.com for any questions on our coverage areas. Pampered Pet Sitting, LLC has been in business for over 12 years and is one of the leading pet sitting business in the Pioneer Valley.